So you may have noticed by now that my blog is looking a little different. I thought it was time for a fresh new look to my blog now that it's getting closer to it's 1 year anniversary. The lovely Serena contacted me and redesigned my blog. The whole process was straight forward and she let me give my own input and ideas forward and made them real. I was honestly shocked when I saw the finished product (in a very good way) It was exactly how I had pictured it in my head but right infront of me! She had managed to create this in just a day, which goes to show how talented she is! If you want to have a browse through her site click here. She offers Blogger pre-made templates, custom designs and so much more. 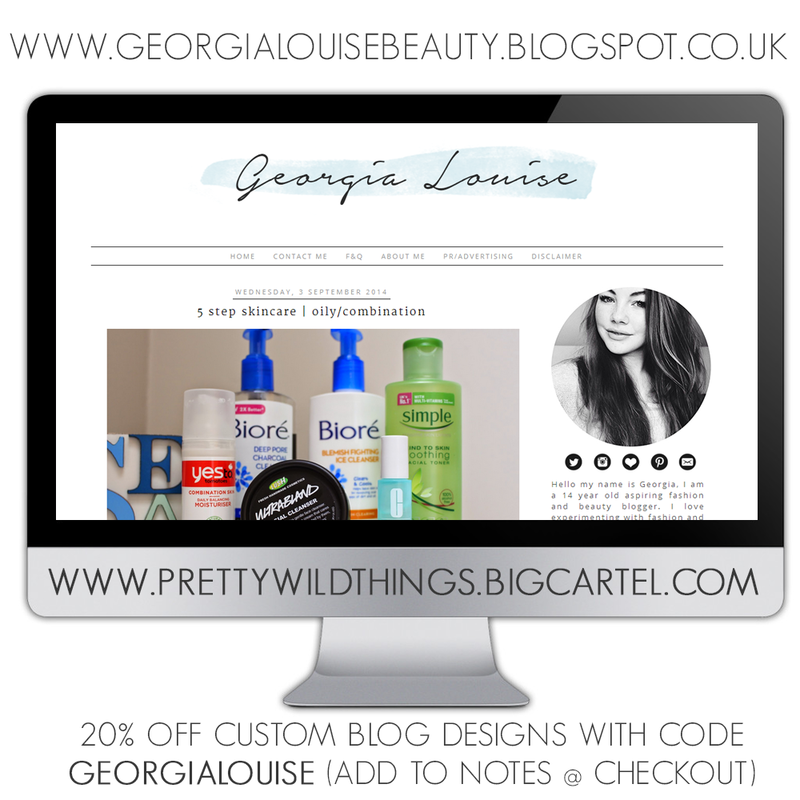 If you are interested in having her custom design your blog enter 'GEORGIALOUISE' at the checkout to receive 20% off your purchase. I hope you like the new design as much as I do. I felt like it was about time for a little re-vamp.